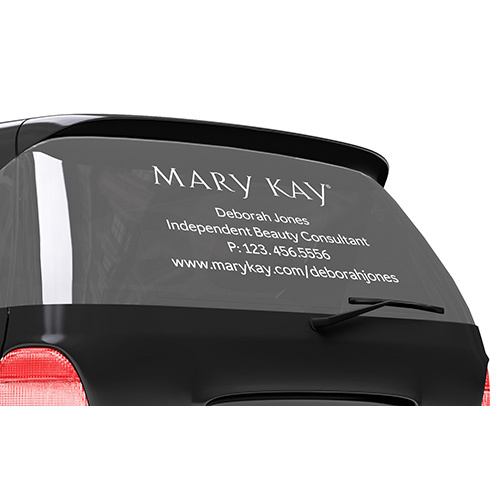 Move into the fast lane of success by promoting your Mary Kay business with a car window decal. This window decal features the Mary Kay logo and is customizable with up to four lines of your contact information in white vinyl. One decal included per order. Large decal size: 11" x 17"
Extra large decal size: 12" x 24"